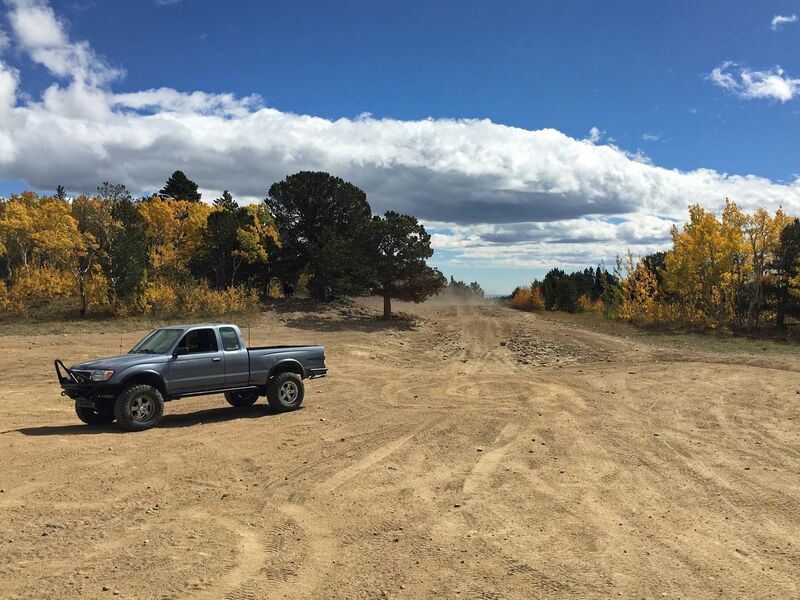 Excellent off-road route for either beginners or those just looking to escape the city while being in the heart of mining country. 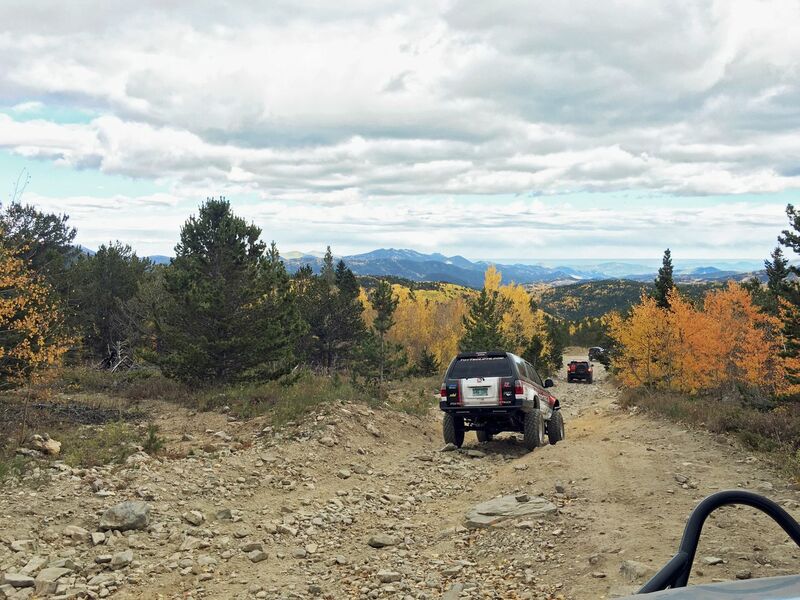 The Yankee Hill to Central City Route takes you directly into the Yankee Hill Network where you could spend a day or two exploring many different trails and route combinations which gives you plenty of off-road miles to enjoy. 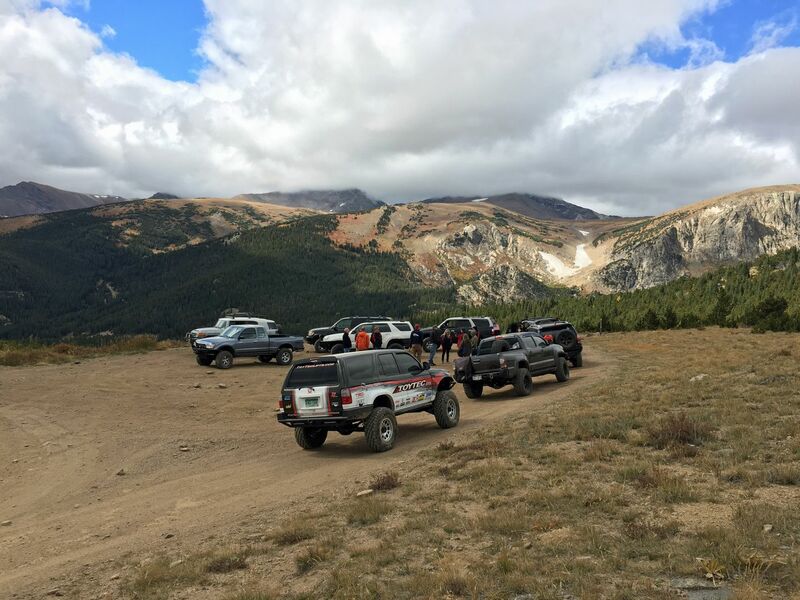 With two different destinations at each end; one being the popular St. Mary's Glacier and the other being Central City/Blackhawk, you can fit in other activities besides off-roading. This route is part of what is considered the "Yankee Hill Network". 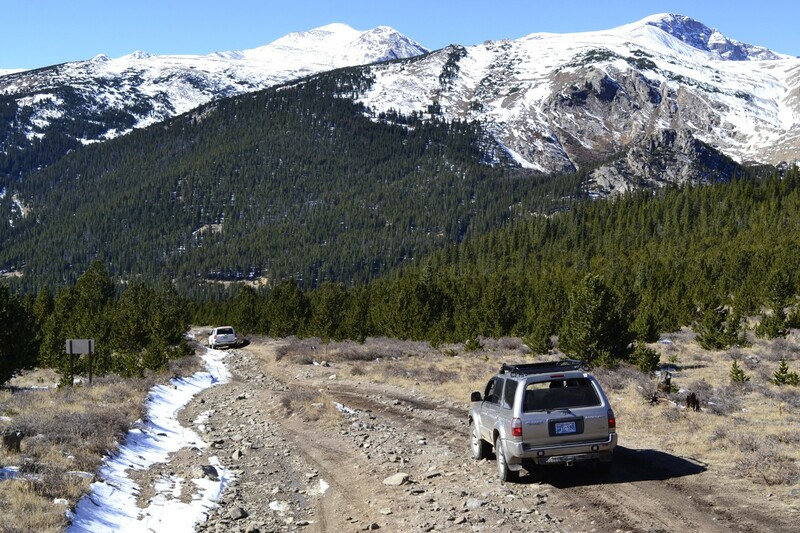 This route follows two Forest Service Roads, 175.1 and 273.2 to take one back and forth from Central City to St. Mary's Glacier through the heart of the Yankee Hill Network. 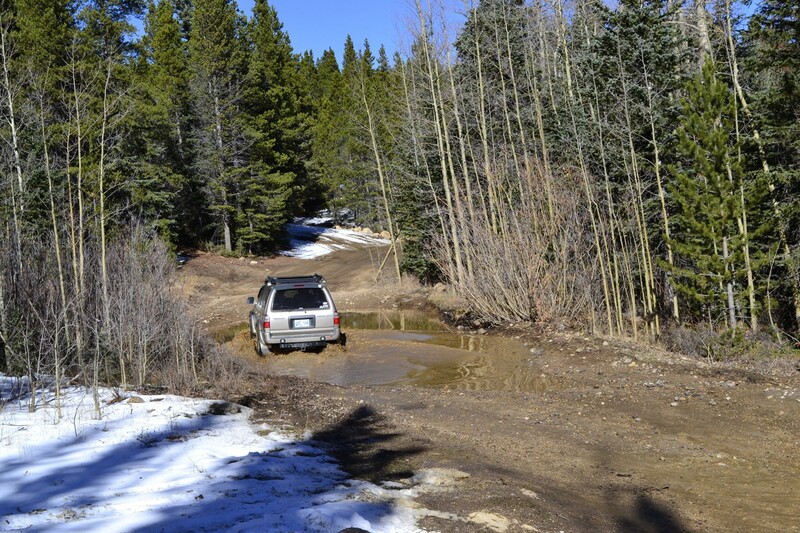 Trail conditions include Forest Service type roads with rocks, boulders and in some areas deep ruts. Any high clearance stock SUV can safely navigate this route. Route instructions are described from St. Mary's to Central City and the trail can be run in either direction. From Fall River Road shortly after passing Alice Road turn right onto Mine Road. Continue up Mine Road and stay right. Once at the power poles there are two entrance points onto the trail. The first one is more difficult while with a minor obstacle. 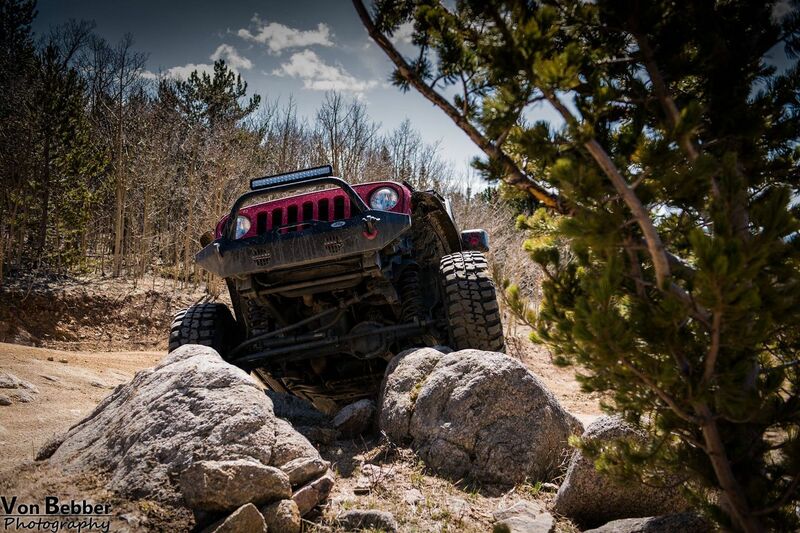 This stretch until the overlook is fairly rocky and bumpy. This is the loop taking you back down from Yankee Hill, but go up the hill at waypoint 6. Continue onto 175.1 unless you wish to climb and descend Yankee Hill. This is the loop here which takes you up Yankee Hill. Continue on 175.1 unless you wish to climb and descend Yankee Hill. There are some camping rings up on the hill. Continue on 175.1. Turn south if you wish to descend onto Washoe Gulch and exit onto Fall River Road or loop back over to Cumberland Gulch. Down Washoe Gulch there are a couple of small camps. Continue onto 175.1. 271.1 will eventually connect you over to Cumberland Gulch or Sheridan Hill. Continue on 175.1. Heading north takes you onto the route which would lead you towards Apex Road. Continue on 175.1. 271.1F leads you over to 271.1, Cumberland Gulch and Sheridan Hill. Continue on 175.1 175.3I is a more technical shortcut connecting you onto 175.1 again as well as Miners Gulch. Continue on 175.1 If you are running this from Central City 175.3I is a more technical shortcut connecting you onto 175.1 again. Continue on 175.1 to the right. Continuing straight (175.3B) also connects you back over to 175.1. 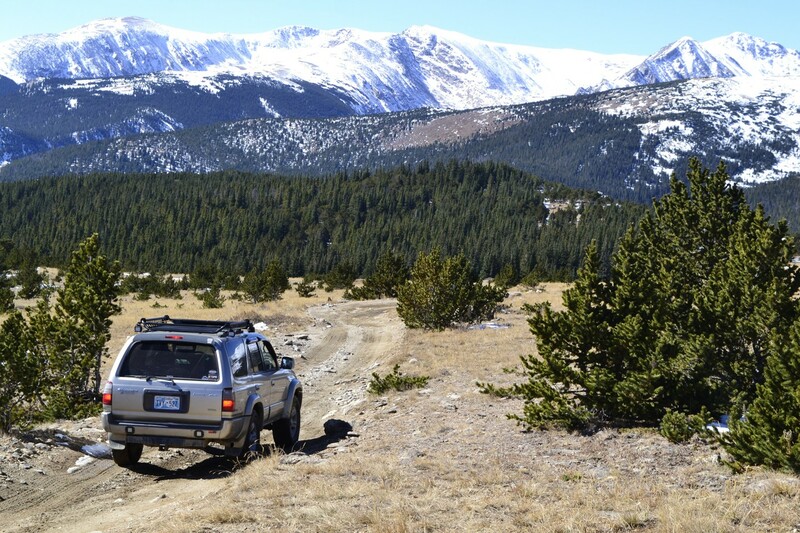 Heading north takes you onto Miners Gulch 175.3C and over to Apex Road. Continue to follow 175.1. 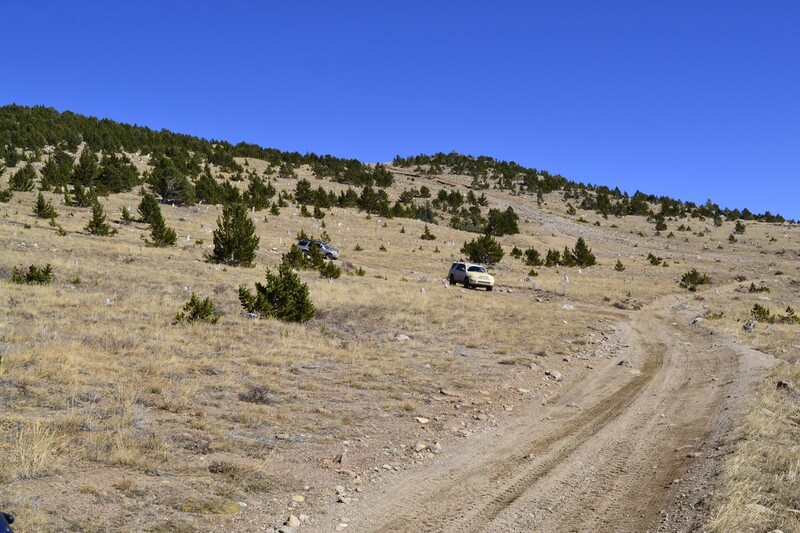 This area can get wet and muddy in rainy or snow season. 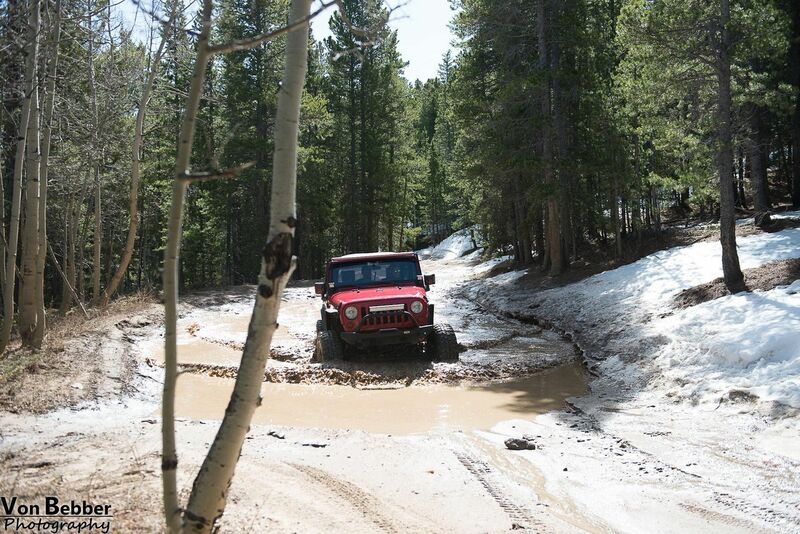 There are some puddles and ruts to play in. If you ran the trail from Central City this is a very good spot to air down. The trail from here to Central City is mostly a trail rated 1 dirt road. Continue on 273.2. 401.1 is just a connector trail. Follow the signs and remain on 273.2. If you ran this from St. Mary's this is the end of the trail. If you are running the route from Central City look for the Boodle Mill and turn left up Kings Flat Road. 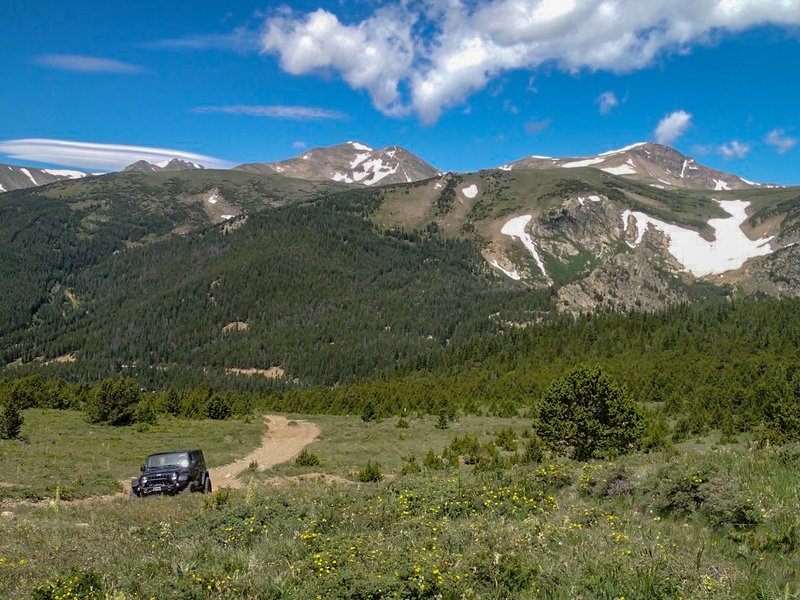 This route either ends or stops at a developed campground, Columbine Campground. There is also dispersed camping all throughout the Yankee Hill Network but this is not considered a great "camping" trail. Q: Can we go through trail at this time? 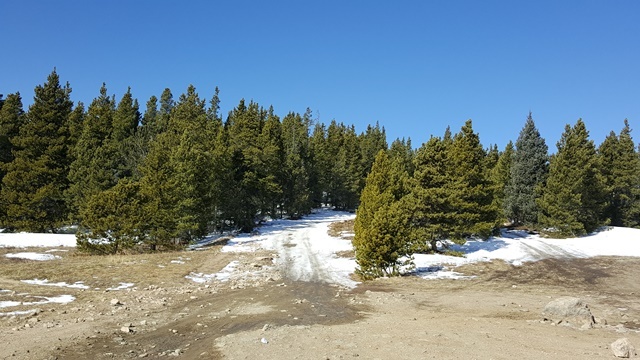 A: Hi Franzua, the trail is technically open, meaning that there are no seasonal closures posted by the US Forest Service. If you read the trip review below, someone did do the trail on the 17th. Having said that though, expect snow, slippery and potentially impassable conditions. 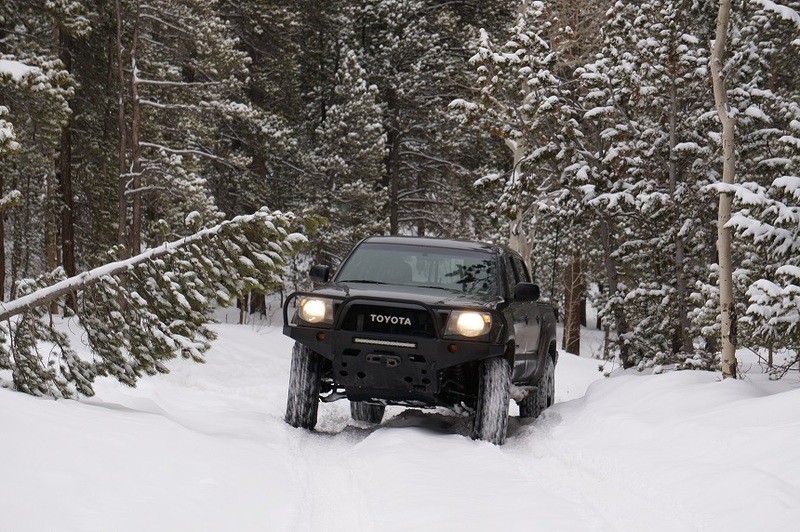 Never attempt winter wheeling alone, so go with another vehicle! For this trail, it's always best to access it from the Central City side during the winter. Q: Hey there! Fantastic review, very detailed. Has anybody been up recently? What is the snow condition? Thank you! 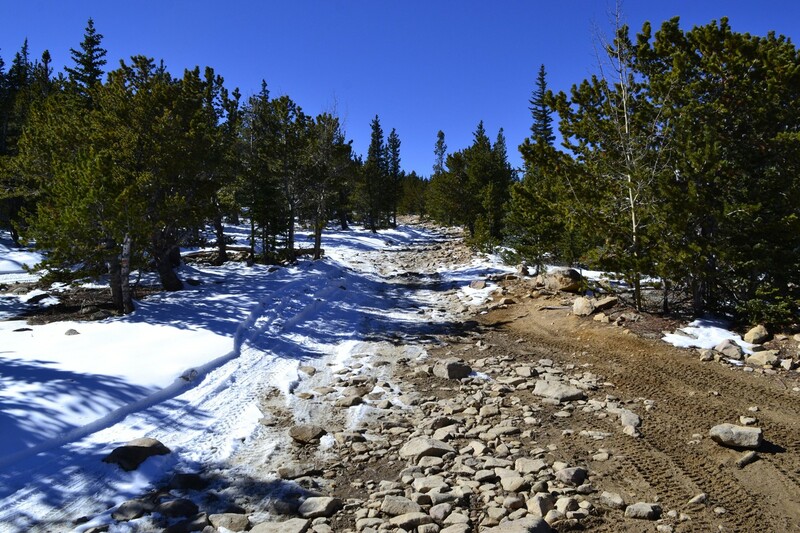 A: There are definitely patches of snow and ice along the trail. It will build up over the winter with each snowfall and will have patches of snow usually until early summer. As winter moves on, the drifts get bigger, so even if a few inches fell, it could mean a much larger drift you may have to get through. Q: Do you know what the actual distance (mileage) from Central City to the trail? A: Hi Brenda, not off the top of my head, but from Central City you are looking at a 5 to 10-minute drive to get to the trails within the network. Roughly under 2 miles to get to dirt. A: Hi Evan, We are glad you like the site! In regards to this trail though, there is definitely going to be snow and maybe impassable in spots. The one thing you need to think about is that at that elevation, a lot of snow can fall at night, even when everywhere else looks beautiful, so it the conditions can change daily. Be sure to never go alone and have proper recovery gear. A: Hey Dustin, I live right around there but I have been out of town for a week or so. The neighbors said a good amount of snow fell at high elevation, so its going to be snow covered and potentially impassable. If you attempt it, never go alone and have all the proper recovery gear with you. Most people access the trail from the eastern trailheads. Q: Does this trail close down or is it even passable in the winter time? A: Max, it is technically open per the Forest Service. 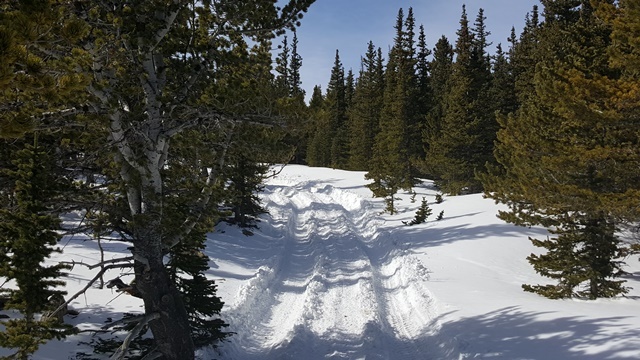 It does get blanketed with deep snow and can be impassable at times, bad things potentially could happen so do not go alone. Bring proper survival gear for extreme cold weather, extra food and water, tire chains, shovels, vehicle recovery gear etc. Most people access this area from the east side near Central City - the west side is typically deep in drifts and you would not be able to make it. Again, do not go alone and go with someone experienced in recovery. Really fun trail to run in the snow. 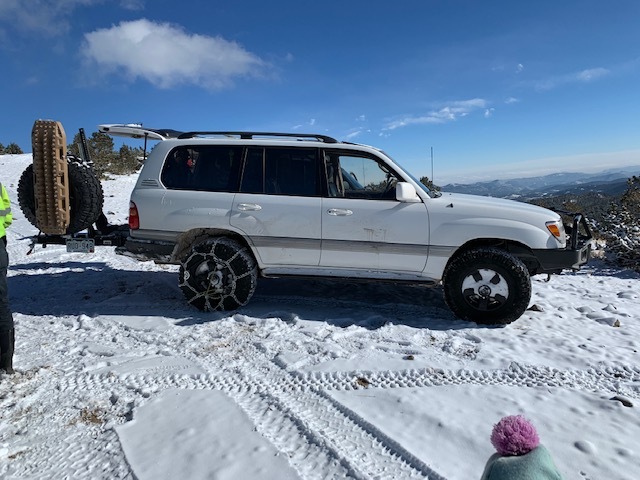 Couldn’t make it all the way to the top without winching a decent amount (waypoint 14 was where the snow started getting really deep) and decided to turn around. Fun day! I ran Yankee Hill on New Year's Day and had a blast! Most of the trail was passable, though the actual "hill" presented something of a challenge. I had snow chains on my rear tires and probably didn't need them, but better safe than sorry. As others have said before, definitely do NOT go out on this network during the winter alone, and make sure you've got warm clothing/blankets/food/water in the event anything goes south. I'd also make sure you've got good, rated recovery points and some basic recovery gear (kinetic rope and soft or bow shackles are a good start). Took a trip from the Central City side, once again the hill after the shooting area was very slick and you really had to pick the perfect line. 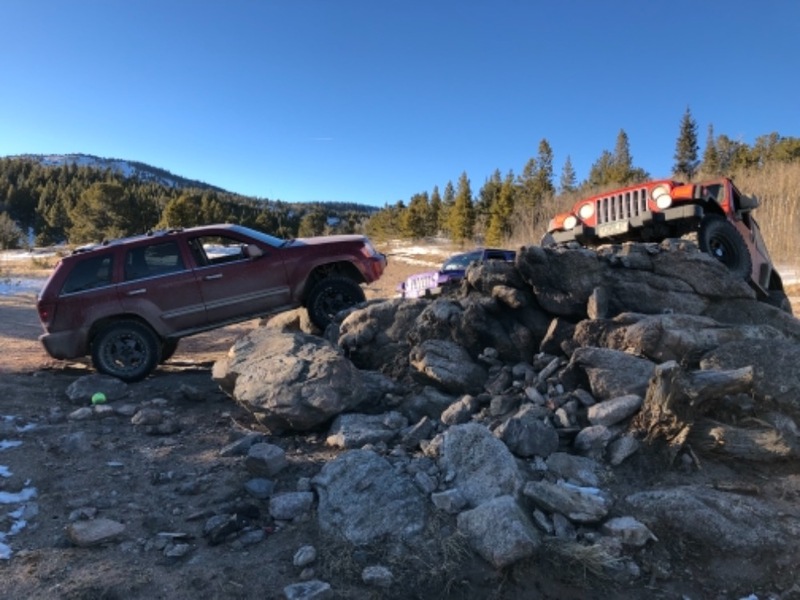 Watched one Jeep hammering skinny petal on that hill until something broke and he backed down to do a trail repair, also saw 4 RZR's that didn't leave proper spacing when attempting a hill and ended up with some vehicle damage. One of our group was having engine trouble so we headed back the way we came, although we did hear of others making it through to St. Mary's. 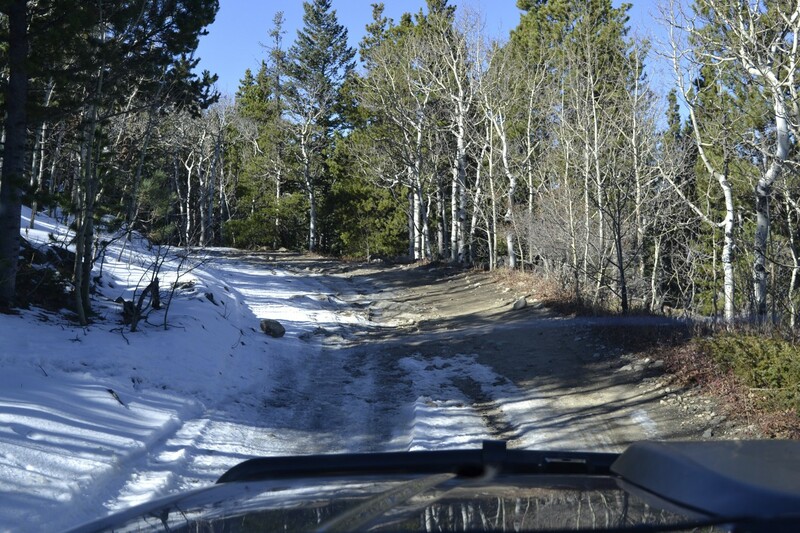 If you are going to attempt do NOT go alone, and remember road conditions can easily change midday as areas melt & refreeze. 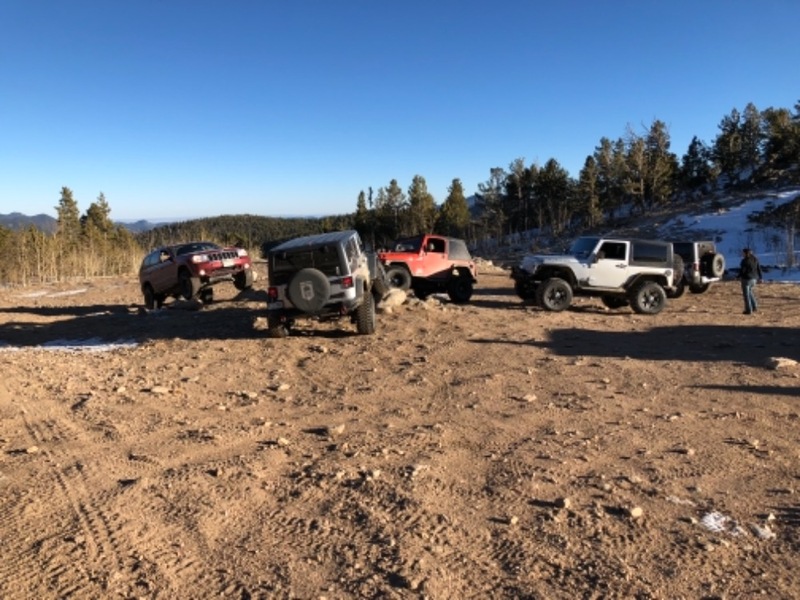 Ran this trail today with a few other vehicles. 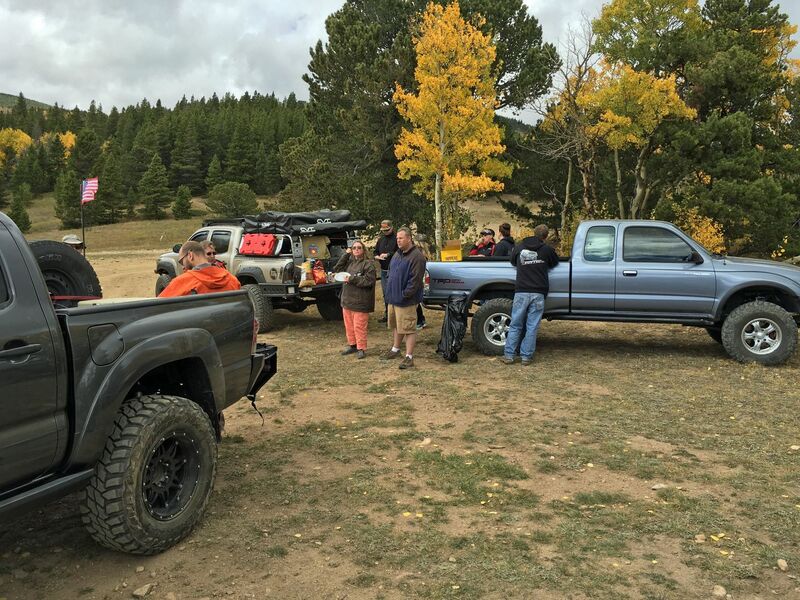 Ranging from a stock 4Runner to lifted Tacoma’s, some with 33” and a locker to open diff. All aired down. We made it from one end to the other but I wound not recommend doing it solo unless you a winch and plan on shoveling snow. The rocky uphill @ the shooting area was icy and if you don’t get the line perfect you’ll slide down. The next major uphill was snow packed but easy to get up. As we got past the half way point we ran across 2 snow drifts. The first one was easy to get through but the second got every vehicle stuck. Locked and a lot of skinny peddle may get you through it, but good change you will have to get winched or pulled out of it. Post-snowfall review! 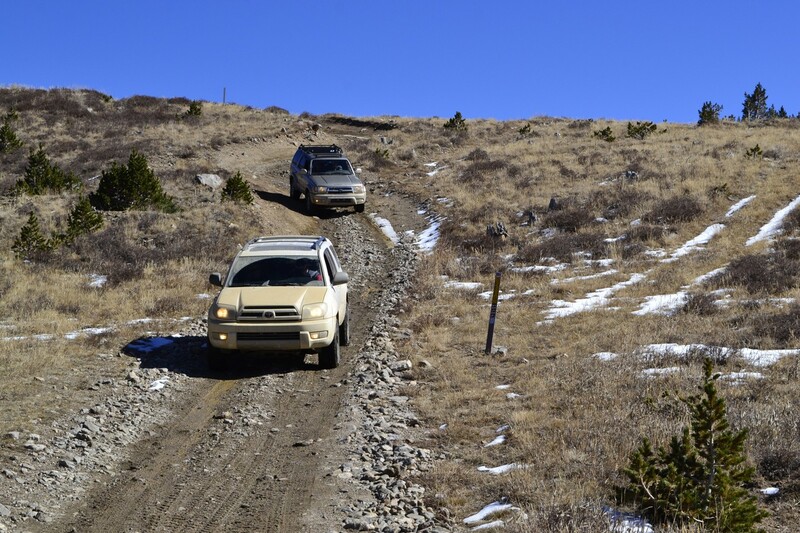 2000 Frontier (3" lift) 2001 4Runner (no lift) 2004 4Runner V8 (no lift) We ran this trail from the Central City side and ended in St. Mary's. 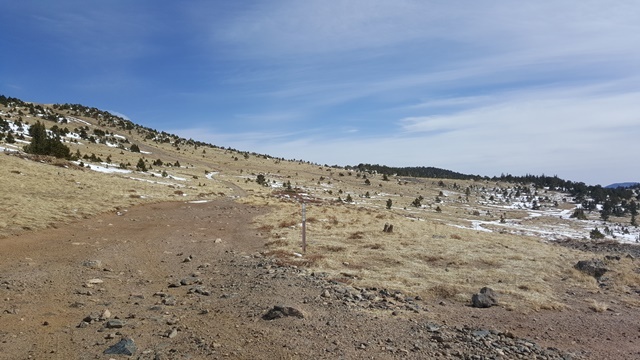 The Central city side has a lot of sections with hard-pack snow, ice, and mud, although the trail is very dry in some areas. The St. Mary's side is pretty much snow free. Play-ground/shooting area at WP16 was clear and dry. We couldn't make it UP the hill between WP12 and WP11 due to snow/ice. We could have easily winched it, but we decided to take the Yankee Hill Cutoff Trail and it was more enjoyable anyways. 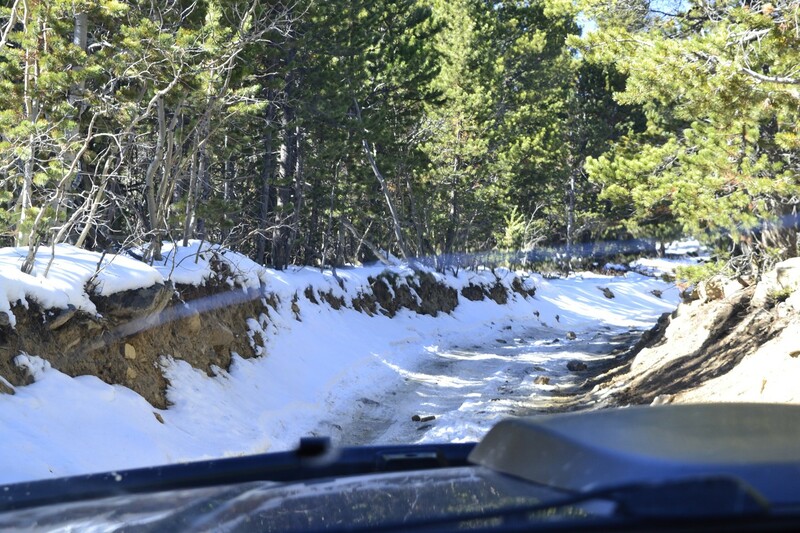 WP1-WP7 were essentially snow free and would be easy going either direction. 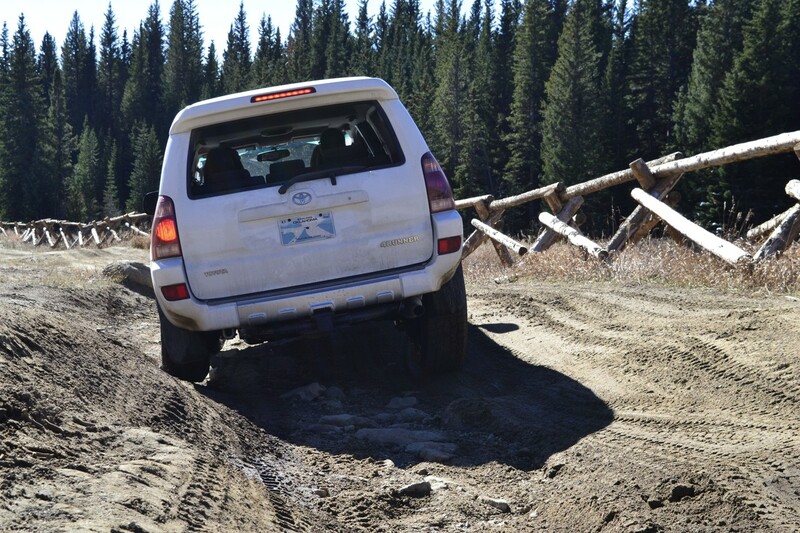 Overall the trail was very passable in a stock rig. 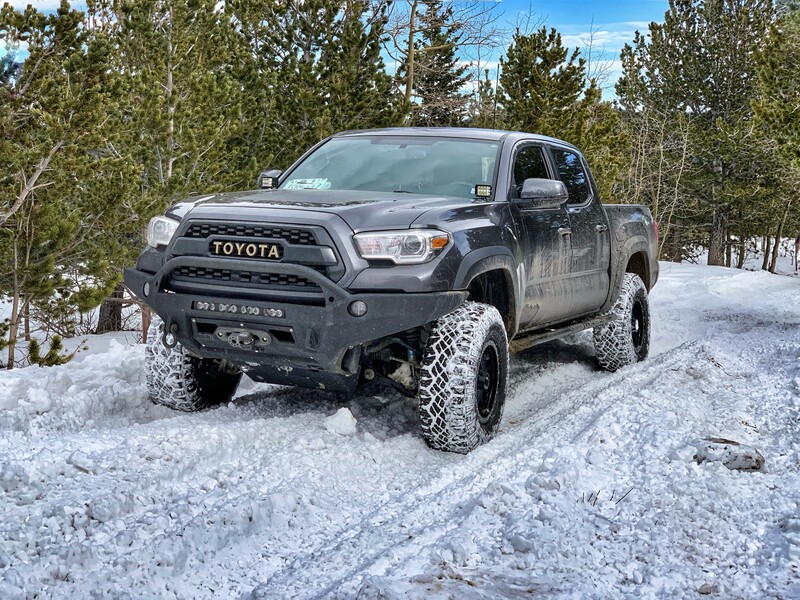 Chatted with a couple in a sock 5th Gen 4Runner near WP12 and they hadn't had any trouble climbing Yankee from St. Mary's with stock tires, no lift. Saw quite a few dirt bikes, atv's, and side-by-sides up there and they were passing most section with no issues. I tried this trail but had to turn around When the tail started to get very rocky and I was on limited time and had to make sure I could get back into Denver. I liked the views very much. But I have a hard time with this rating on this trail. 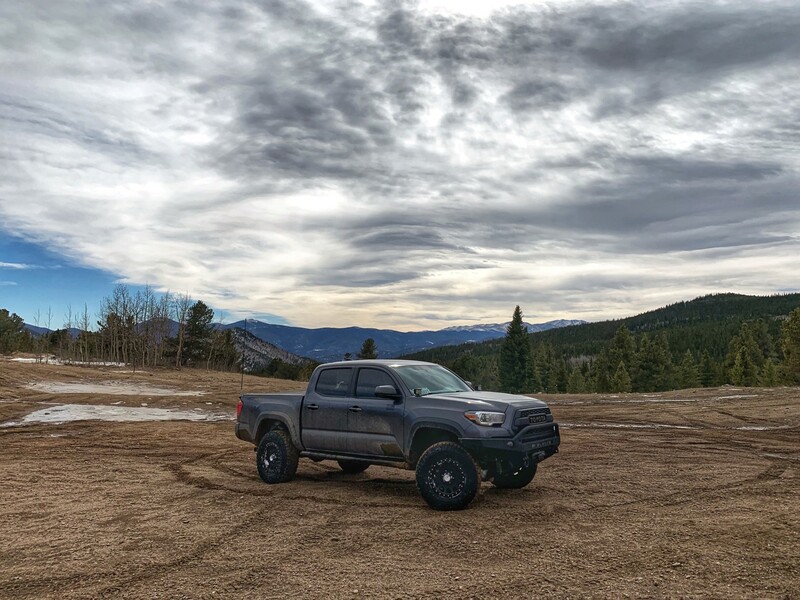 I am pretty new to off-roading with my 4Runner. This is probably my 4th trail. Seeing the rating of max 3 made me think this was a pretty easy trail. There were areas that were just completely boulders and rocks you had to drive over with some very large rocks mixed in. I hit bottom a few times barely moving on some areas. I probably would have kept going but I was by myself and lost cell service and had to get back at a set time and if the trail had continued to be as bumpy then I would have been late. Like the area and the views But being new I had a hard time seeing this as a max 3. This trail was a blast. 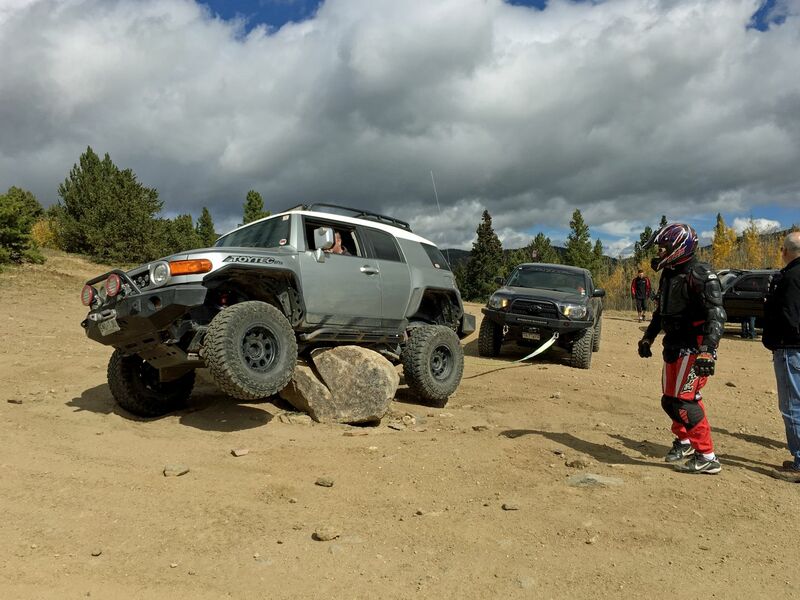 I have a stock 15 4Runner trail and made it through the 175.1 route without stopping. It definitely got a little tricky close to Central City and a lift would have made it much easier. 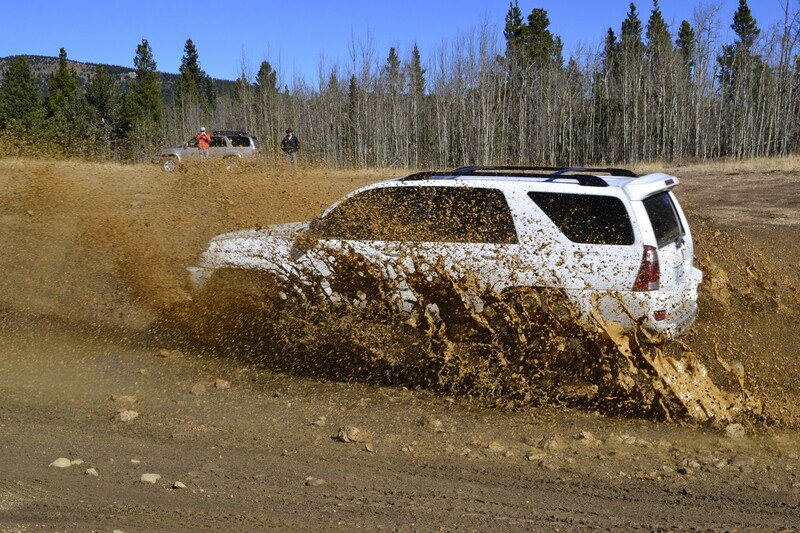 With some skill you can have a blast with a stock vehicle. The mud puddles at the top was also a nice little bonus! This was mellow ride with plenty of beautiful sites. 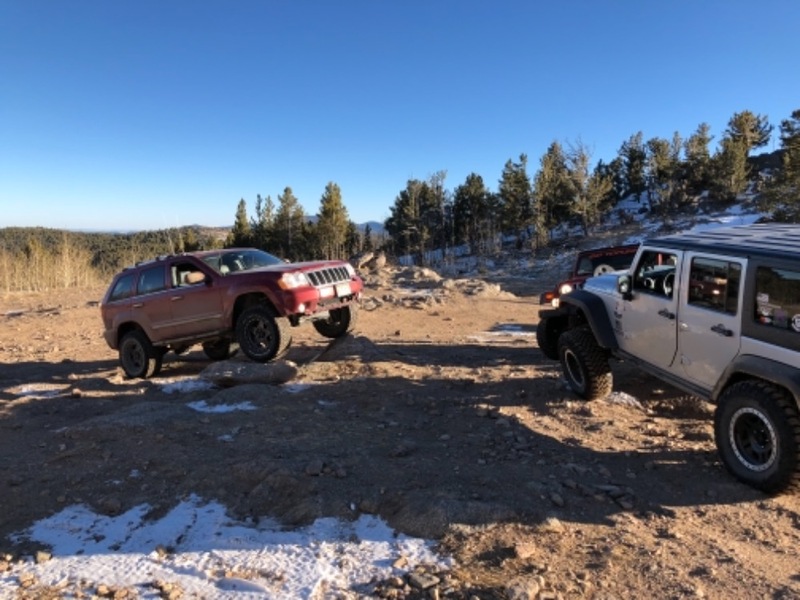 My family and I had no problems on the trail with our stock height ZJ ('93 Grand Cherokee). The mountains still had a little bit of snow on them but none on the trails. Went Yankee hill to Central City stopping for pictures and food breaks along the way. The track took us around 4 hours with all of our stops. There's a fire ban so we weren't able to cook like planned. Snow on the Alice side at the start of Yankee, passable with good tires. Clear up top then more snow going down to the Central City side. 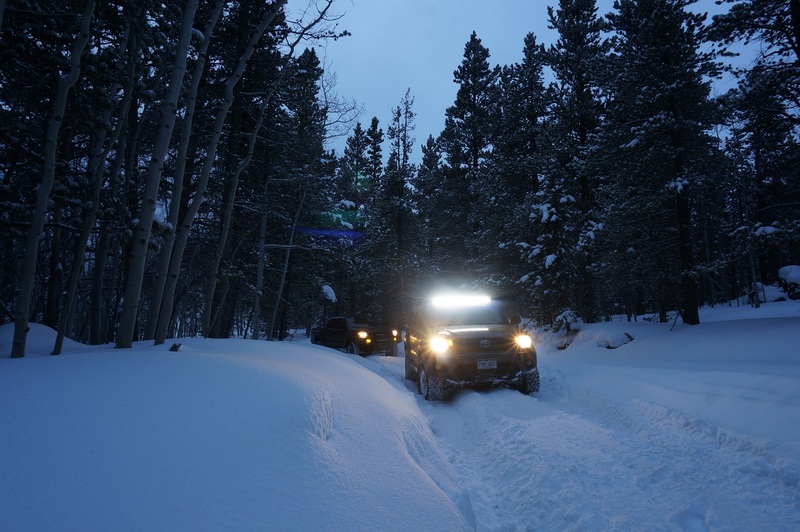 Trail was impassable with deep snow and we had to help another jeep out who was stuck. We also got stuck in the process. 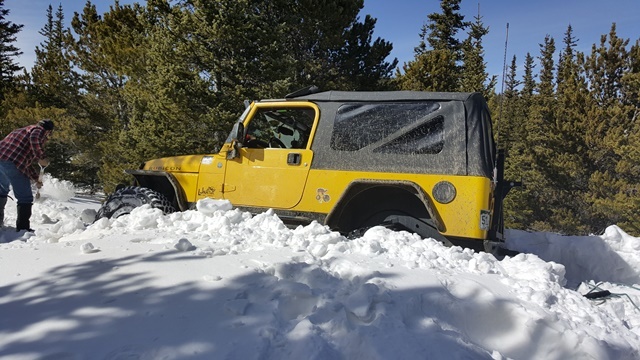 Attempted the trail from the St Mary’s side and the Mine Road Trailhead was impassable, several Jeeps had to get winched out. 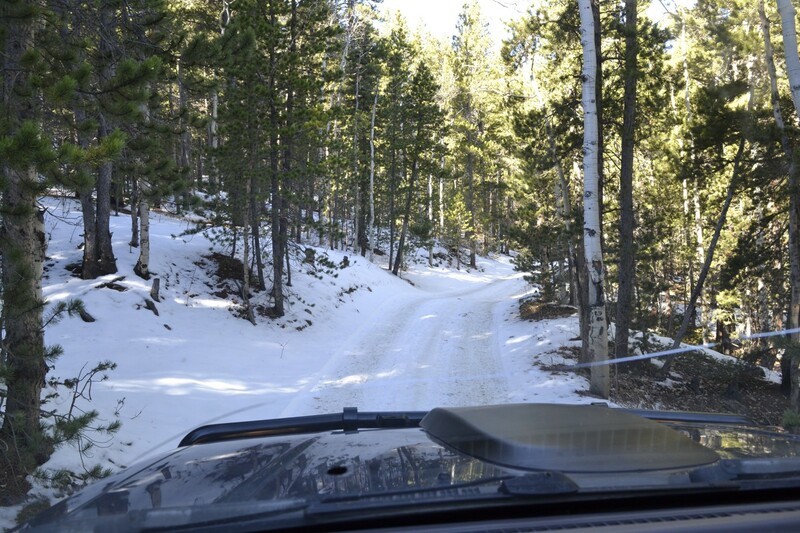 Went around and tried the trail from the Central City side and there was quite a bit of ice, but not much deep snow until Miners Gulch Trailhead 175.3C. The hill continuing the trail from the playground was snow packed and covered in ice so we decided not to risk it and called it a day. Free of snow the entire route. No condition changes vs 2016. Clear from the St. Marys side trailhead. 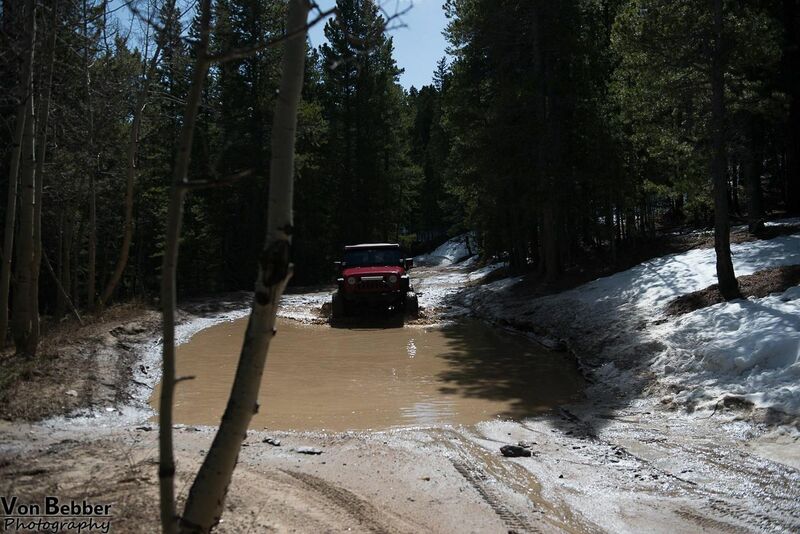 Plenty of rigs were out bashing the remaining snowdrifts down. We decided to escape the city and run Yankee Hill from Central City. 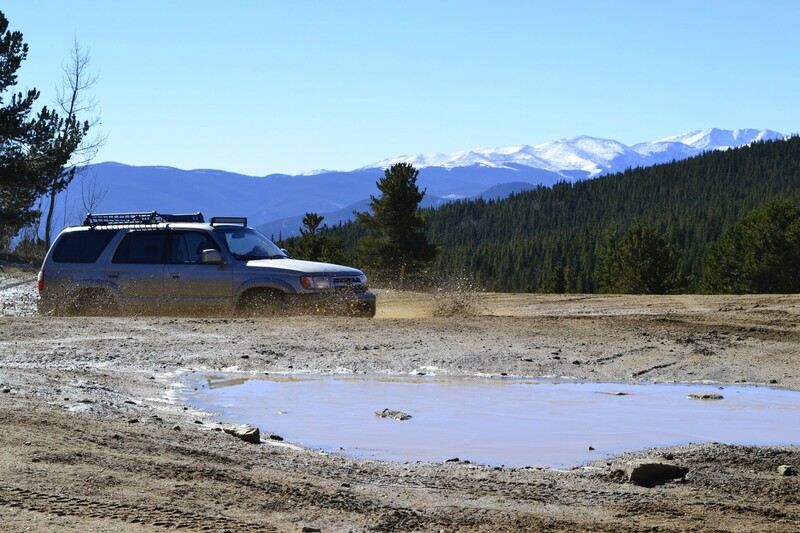 The road from Central City headed west to St. Mary’s Glacier was dry, wet and muddy in some places. Some mud pools on the trail about 1 foot deep, the weather was beautiful. Sunny but a chilly 46 degrees. Not much snow until you reached the base of Yankee Hill. We were by ourselves and noticed a lot of snow. We decided to go for it. The trail is rated easy to moderate. Well, this became a fun adrenaline filled day as we headed up the steep incline to the overlook. 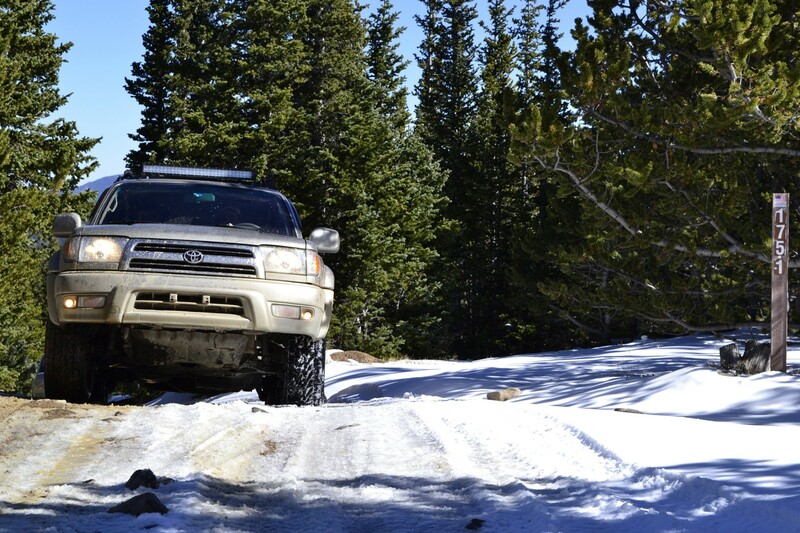 The snow ruts on the trail were deep and hard packed, this was the time to give it a little gas and get through these snow packed ruts or get stuck. 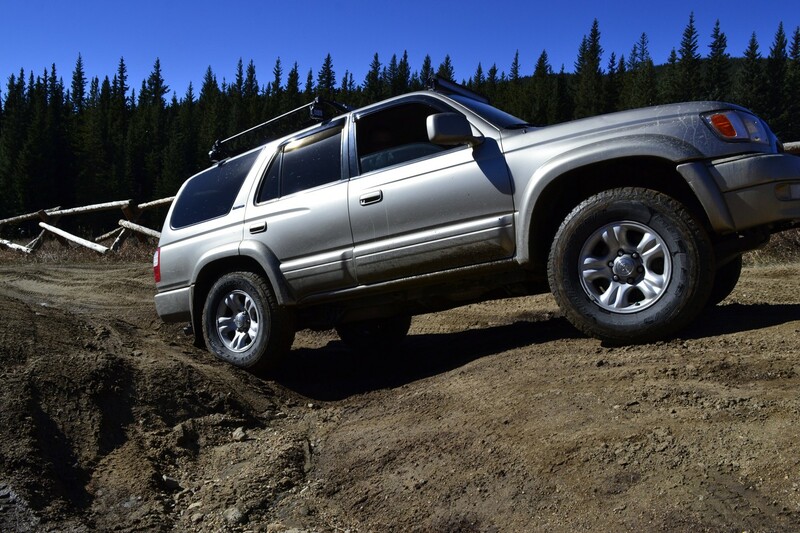 If you do not have a high clearance vehicle, you will most likely get stuck in the deep ruts and have to winch out. We made it mid-way to the top right before the overlook, then there was SNOW, SNOW and deeper SNOW. 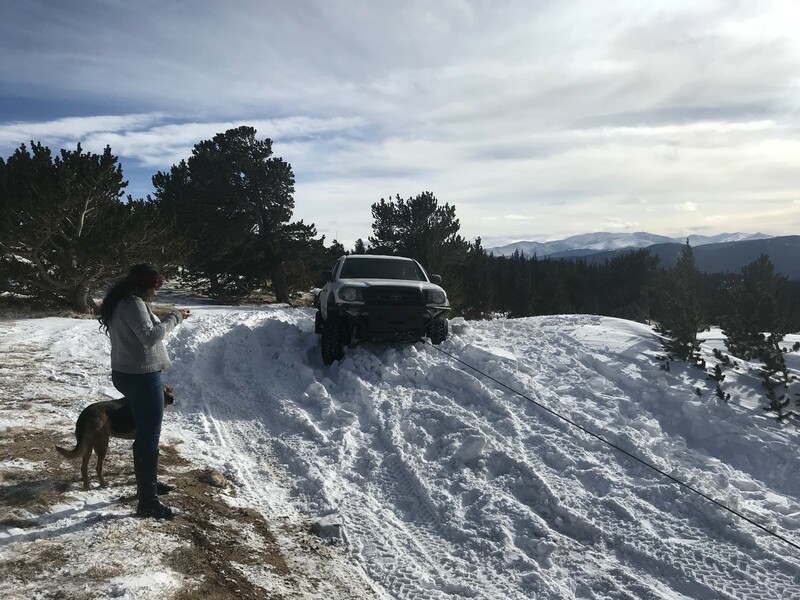 We decided to give it a shot and tried to make it over the hump to the overlook, but the snow was just too deep. Had to back down and head back to Central City. Overall a fantastic day but unfortunately did not get to take photos of St. Mary’s glacier. 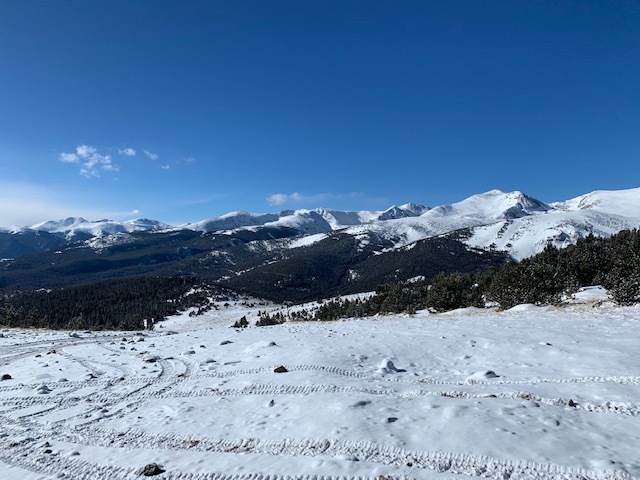 We did not see any full size vehicles coming from the west side at St. Mary’s glacier, so we were assuming there was a lot of snow on the other side and vehicles were not making it over. 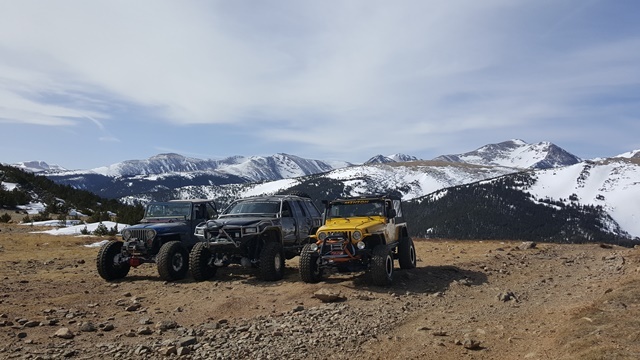 We ran into several Arctic Cats at the bottom of Overlook as we backed down and stopped to chat for a minute, they stated do not take that trail any further or we will be winching out for 1 to 2 hours. YEP we listened and headed back down. This is a fun trail that is close to town. Traveled the trail from waypoint 22 to 16. Previous vehicles that were in the area said they were unable to get up the hill to waypoint 15 due to the lack of momentum. The ruts were packed most of the way, the road near the houses was plowed. 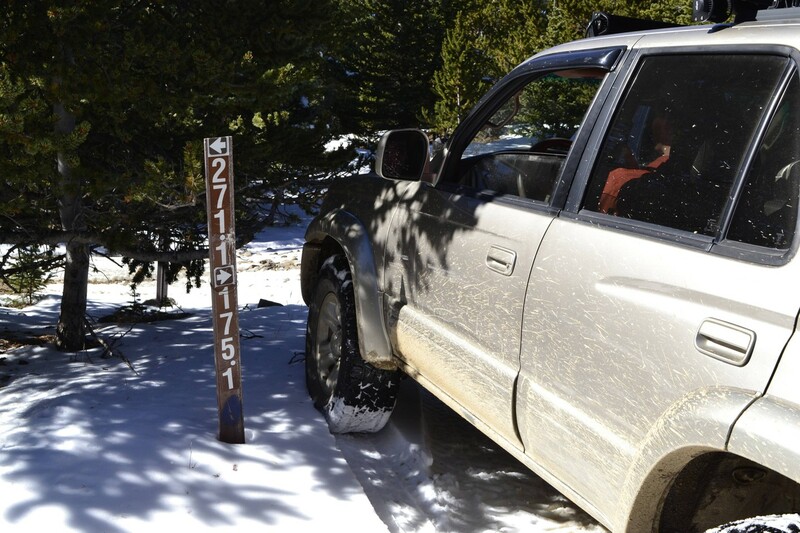 The area at this point is accessible by vehicles with a minimal lift and good winter tires. no fresh snow, packed powder in most areas. none of the ice hills were slippery. 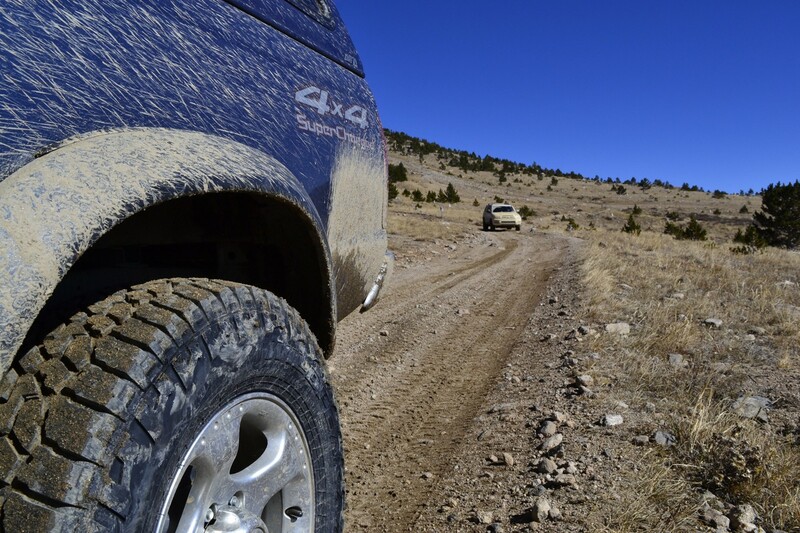 we all spent most of our time in awd. finally used 4wd getting through the drifts to the playground and playing on the main drift. hard crust on top of the powder from the wind. really no issues walking on top of the snow, but made it a bit harder for rigs drying to get through drifts. didn't go all the way to yankee hill as we had to take off and get back to town, nor did we explore any of the quarry area. too many atvs up there. we headed for the deep stuff to get away from them...it was like rush hour in the city. We got a little group together to go and explore the beautiful fall leave changes. We started out in Central City and went up to Yankee Hill. This was the first time I had run the trail. It was a pretty active trail that day. There were a lot of people in the parking area with UTV's or just people exploring the nearby graveyard. We aired down and set off. Almost instantly the trees were the beautiful golden color we were hoping to see. Our pace was pretty good even with all the dirt bike, ATV, UTV, and vehicle traffic. There were also a good amount of people shooting in some areas. We arrived at a big open area which has a large "poser rock" in the middle of it. A few people tried their hand at it. One guy drove too far forward and high centered himself onto it. It made for some funny pictures as he had to get yanked off by another truck. The weather was interesting too as it was fairly warm, I only needed a light hoodie, and it was sunny and snowing! Pretty weird to have the sun lighting up all the golden leaves but snowing at the same time! We decided to stop just off to the side of this large open area to have lunch. Crazy enough, as I'm eating a sandwich, I look up and see a Razr UTV tumbling through the air! They attempted to do a sharp turn in the open area and ended up rolling a few times. We believe afterward that a lower ball joint broke and that's what sent them tumbling. Luckily everybody was OK and we flipped it back onto it's wheels. Unfortunately with the LBJ broken they were done for the day. We continued up the trail after eating and it was all pretty straight forward. We had some new people with us on the run and they did well! A couple in the group made it up Yankee Hill without issue. It was around 32 degrees at Yankee Hill. The views were amazing. After taking some pictures we headed back down the way we came up from Central City. It was a fun day! We ran the trail on 2/21/16, and it was a sunny warm day for being February. We ran the trail in reverse from the route described here. We started in Central City and ran Yankee Hill all the way over to Alice. We started at the parking lot at waypoint 22, and then actually took 739.1 to waypoint 18. 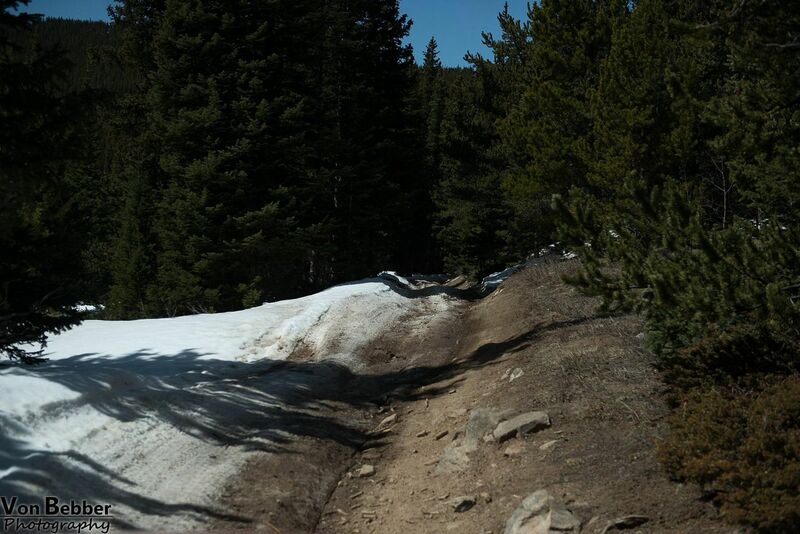 This section of trail was pretty snow free and what snow we did run into had been well traveled and packed down. Between waypoints 18 and 12 the trail was snow packed, but nothing too extremely deep. 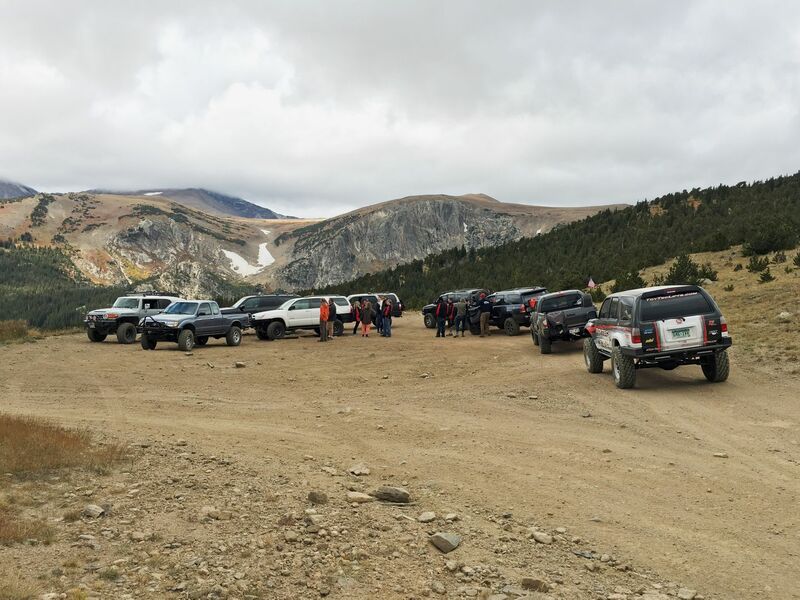 There were plenty of other vehicles on the trail from ATVs to other smaller Jeeps and pickups. Near waypoint 11 we did run into one very large drift blocking the main path on the trail. 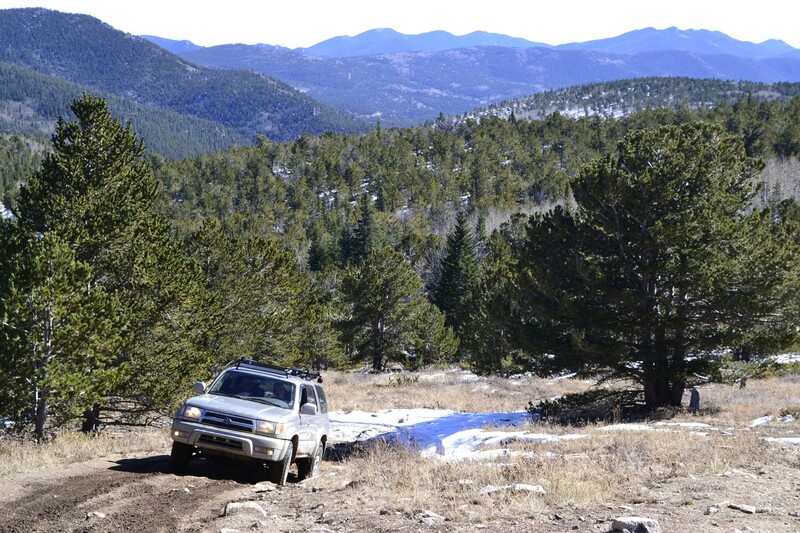 This drift took a lot of busting and winching with our 3 vehicles on 42'' tires, 40'' tires, and 37'' tires. There was a bypass, but I am unsure if it was a legal or illegal bypass. After this point, halfway between waypoints 8 and 7, there is a steep uphill climb that had a very large snowfield across it. It had been very well traveled so there was really no issue at this time because there had not been any fresh snow in at least a week or 2. With fresh snow, this hill climb will be a very big challenge. One on top above tree line, there was very little snow, the trail was mostly dry. We continued down the main trail towards Alice. When we reached waypoint 1 where the trail crosses under the powerlines, the snow had returned with a vengeance. It was extremely deep and soft in this location. It had no issue swallowing up a set of 40'' tires. 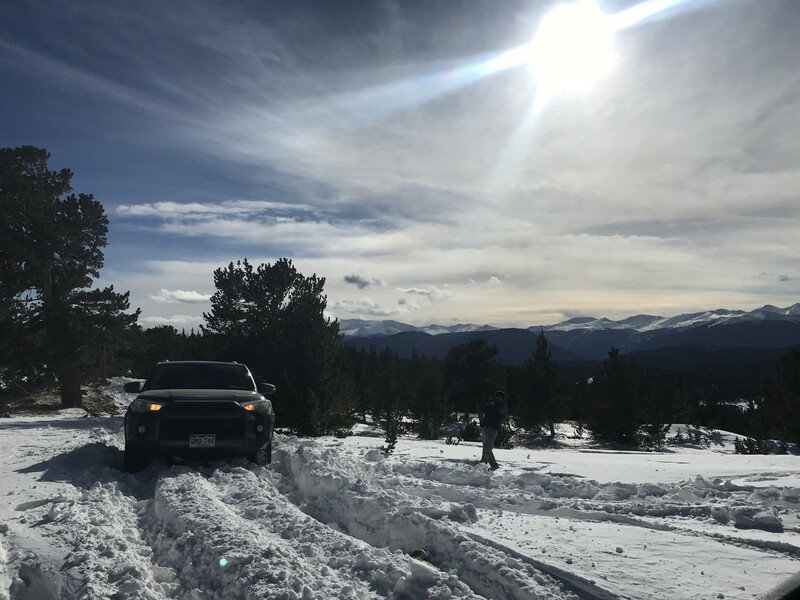 One vehicle got stuck and required a lot of digging and winching in order to get him free from the grip on the snow. 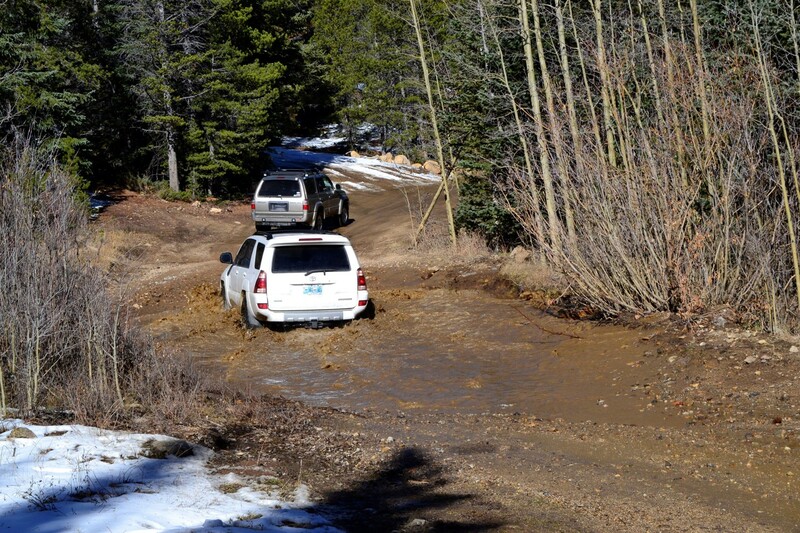 There were a few stock SUVs trying to come up this part of the trail also that just kept getting denied by the snow. Once we finally got out of this stretch, the road once again became dry. Because of the conditions we saw, I would only recommend this trail be ran in reverse order like we ran it, from Central City to Alice.